Fertility Treatments: We have a plan. 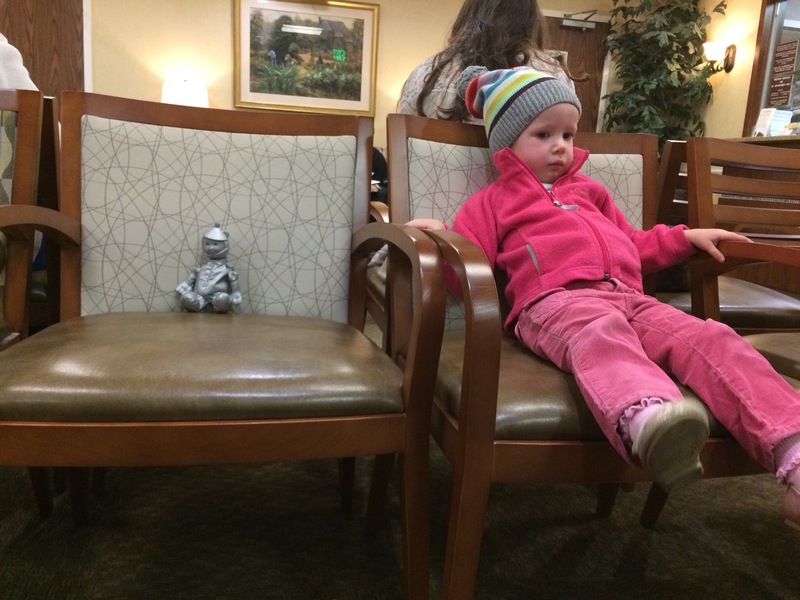 Our visit with the reproductive endocrinologist went better than I could’ve ever imagined. Probably because I freaked myself out for weeks waiting for the appointment. I have never been so relieved to have a medical diagnosis that isn’t: FAT. I have 2 different clotting disorders, both causing my blood to clot too much. A simple baby aspirin a day will help long term but 2 heparin (blood thinner) shots per day when I next become pregnant will likely save our next baby. I’ll have to give them to myself in my stomach but really, I’d walk across broken glass twice a day for another baby so a little shot in my stomach is no big deal. I also have a disorder that causes my body not to process folic acid properly so I am being put on prescription supplements for that. My vitamin d is low so I’ve been supplementing that since they told me a few weeks ago. Our Doctor also thinks we will benefit greatly from fertility drugs to mature the egg as much as possible to give us the best chance. I will take letrazole orally and have an hcg shot on a certain day to help also. And finally, I will be put on progesterone immediately upon becoming pregnant. Historically, my progesterone is low during pregnancy. It was low with Quinn and we caught it super early and were able to save her when I was bleeding pretty bad at 5 weeks. The thing that was different about that pregnancy versus the last 2 is that with Quinn, my doctor insisted it be taken vaginally. The last 2 said that orally was fine and they both ended bad. After expressing this concern to the RE he IMMEDIATELY validated our feelings that this was a reason we lost the last 2 babies. He said he always requires vaginally because it gets straight to the source and doesn’t have to metabolize through the liver, weakening the drug. I expressed concern that my weight also causes progesterone to weaken when taken orally because I’m given the same dose as someone who weighs 100 pounds less than me. He agreed that my concerns were very valid and that vaginally is the way to go. I went into the visit yesterday wound up tight and in a panic about what was to come. Quinn had to come with us and she was less than excited but easily bribed with a lollipop. I left with clarity and hope for our future. My biggest fear was being told that our time was up, or that iui or ivf was needed, neither of which we would be able to afford and our insurance doesn’t cover a penny of. My fears were dismissed and I am confident that the next time I get pregnant it will end with a healthy baby. Please keep us in your thoughts and prayers as we move forward. And if you are struggling with infertility, don’t give up. Take lots of deep breaths and find the best fertility doctor in your area and go to that office looking for answers. We found ours. Hopeless has turned into hope. This entry was posted in Uncategorized and tagged fertility, fertility clinic, hope, infertility, journey through infertility, love, miscarriage, motherhood, pcos, pregnancy. Bookmark the permalink. 2 Responses to Fertility Treatments: We have a plan. Best of luck on your journey and thanks for sharing!